Laser therapy modality forms a valuable tool in the repertoire of veterinary practitioners for surgical and therapeutic purposes. Its popularity stems from the fact that it reduces pain and inflammation and further facilitates the tissue healing for a wide spectrum of diseases in various animals, including pets. In recent years, the modality has made its way to veterinary dental use and for treating tumors in canines. The application of the laser techniques enables veterinarians to treat common cutaneous tumors in dogs. Such lasers typically utilize the properties the carbon dioxide (CO2). Their efficacy in the treatment can be attributed to several attractive benefits such as non-contact dissection, better hemostasis, and reduced chances of intraoperative wound contamination. Such types of veterinary lasers find extensive use in performing oncologic surgery of skin lesions. In this regard, low-level laser therapy, which mainly uses red and near-infrared (NIR) light and functions on the principle of photobiostimulation, occupies a promising role. A growing number of in vitro studies with regard to the efficacy of laser modality in different animals for surgical and therapeutic purposes imparts a sustained momentum to the growth of the market. However, the results suffer from crucial setbacks. The lack of uniformity in study results across different animal models such as in mouse, horse, and porcine models is a vital factor limiting the application. Furthermore, the lack of standard experimental protocol may confound the problems. However, efforts by device makers to confront these challenges and create technologically-advanced laser products will open new, exciting avenues in the veterinary lasers market. The rising number of pet ownerships in developed countries will also help the market expand rapidly. In the years to come, the market will witness rising number of clinical studies involving pets on evaluation the therapeutic efficacy of lasers. Such developments bode well for the market. Veterinary lasers find application in treatment of pets. In such a laser therapy, light of particular wavelengths are made to penetrate the injured cells to bring about their recovery. Laser therapy serves to lessen pain and up vascular and metabolic activities and brings about faster healing of wounds through swifter tissue repair. Overall, the market for veterinary lasers is seen making healthy progress due to the efforts of savvy players to build better products. A shining example in this direction is the development of Epic V Series by market player Biolase. The product series can cut faster consuming less power and giving out less heat. This brings down the trauma caused to the pet being treated and also improves the rate of healing. The global market for veterinary lasers is expected to rise at a significant pace in the next couple of years on the back of growth in pet adoption by people on account of a rising disposable income. This coupled with the rising awareness about pet care and a solid network of pet healthcare centers, particularly in advanced western countries, is having a major positive impact on the market. Another reason behind the swift adoption of veterinary lasers is their non-invasive nature and the swift healing they bring about post-surgery through recovery time. They can be applied on a range of pets, namely avian, feline, equine, canine, and others. All these factors are propelling the growth of the veterinary lasers market. However, the high cost of veterinary lasers is one factor that is posing a challenge to their sales. Besides, inadequate number of trained professionals to carry out the complex procedures is also affecting market growth. The different types of veterinary lasers being used in the market are therapeutic lasers or low level laser therapy and surgical lasers or high energy laser. Depending upon configuration, the key segments of the market are compact, portable, and bench-top. Veterinary lasers primarily find application in pain therapy and soft tissue surgery. Key end-use segments in its market is veterinary hospitals, veterinary clinics, veterinary hospitals, and others. Geographically, the report divides the market for veterinary lasers into Asia Pacific, Europe, North America, Latin America, and the Middle East and Africa for the purpose of study. It finds North America and Europe to be key markets among them on account of the high degree of awareness of pet owners in the region about the health of their pets and also the benefits of the procedure. Apart from that, the higher income of people in the region enables them to adopt such costly treatments as well. 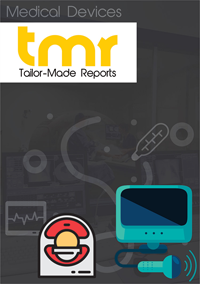 Asia Pacific, on the other hand, is expected to rise at a moderate pace with growing number of local manufacturers, continued thrust on product development, and popularity of non-invasive treatment methods. Some of the key players in the global market for veterinary lasers are VBS Direct Limited, Aspen Laser Systems, LLC, SpectraVET Inc., Cutting Edge Laser Technologies, Aesculight, Biolase, Inc., Excel Lasers Limited, and K-Laser, LLC.